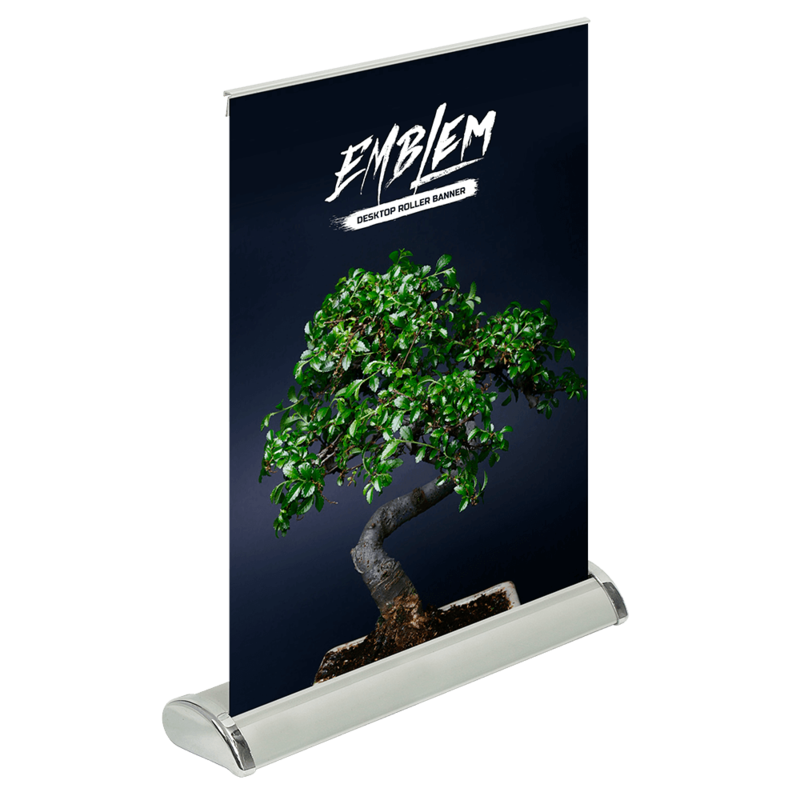 Emblem Desktop Roller Banner Create a distinctive tabletop display with the Emblem Desktop Roller Banner, a sophisticated roller banner that&apos;s featured on 400gsm anti-curl, anti-scuff, anti-glare SoFlat. 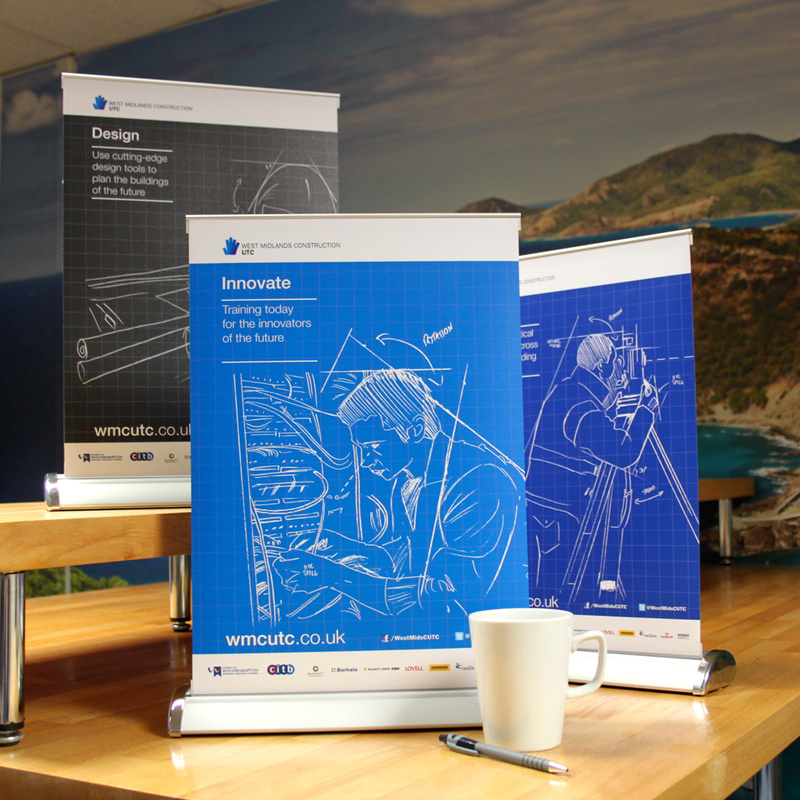 Durable yet lightweight, this roller banner features aluminium construction and is easy to transport. Employ the Emblem Desktop Roller Banner to showcase your brand or special messaging at your next business convention, trade show, or special event. 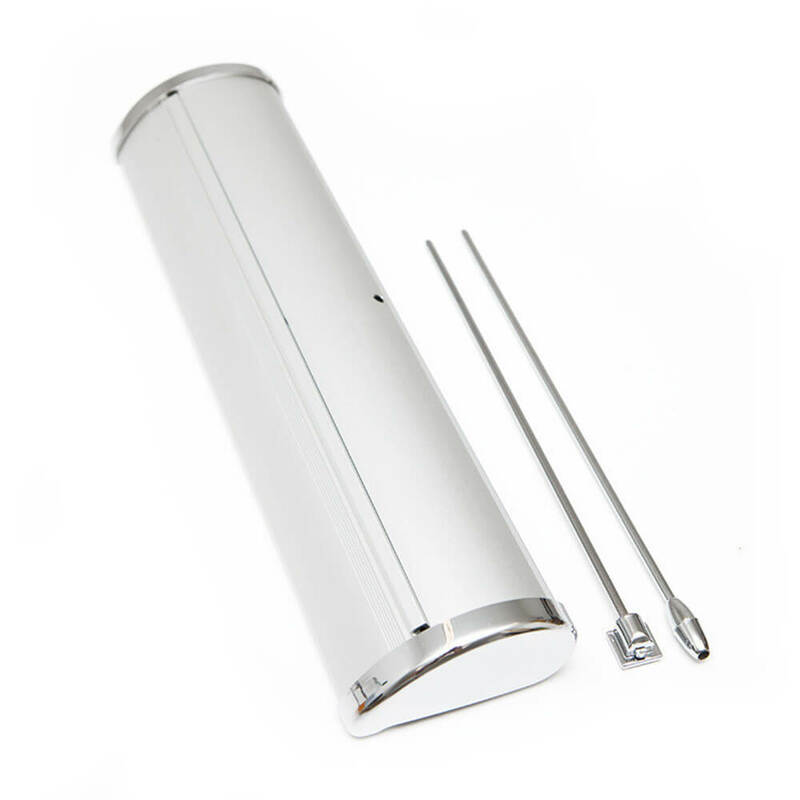 This roller banner will arrive with its adhesive top rail and bungee pole. 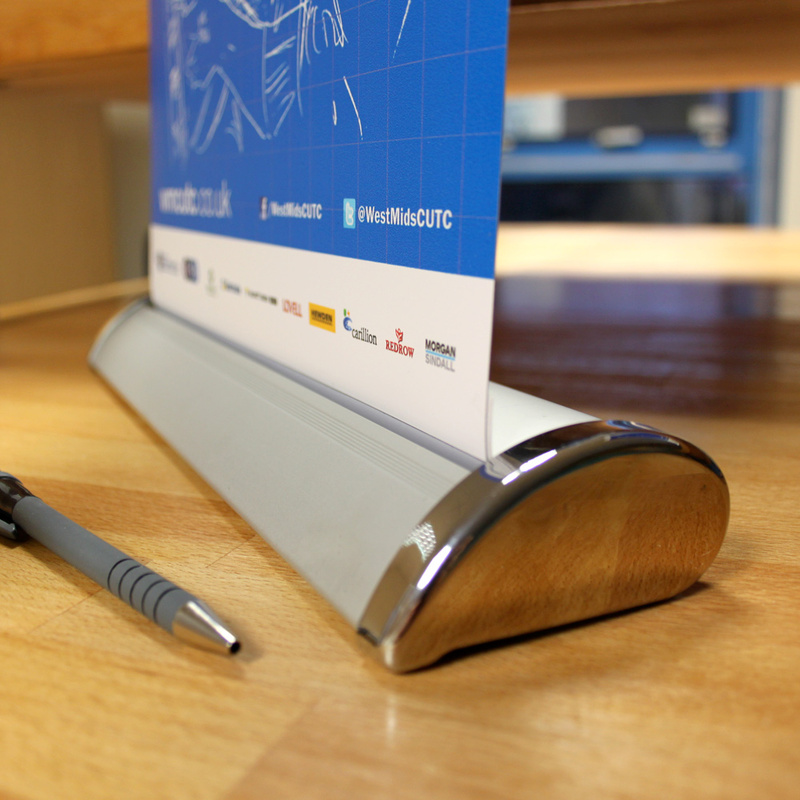 Sleek and stylish, this roller banner is a sophisticated vehicle to drive your message home. Simply upload your artwork and we&apos;ll create your finished product.